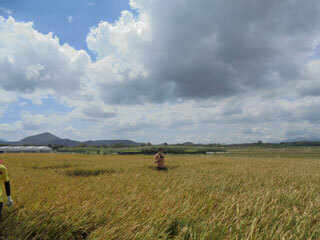 Rice is the staple food crop in Asia, where 91% of it is grown and consumed. For every 4 tonnes of rice grain, 6 tonnes of straw is produced, which in Asia amounts to about 550 million tonnes of straw and 110 million tonnes of husks each year. The husks go to the mills with the rice grains, where they are separated and are often used for energy purposes, but rice straw has become a significant waste problem across the continent. 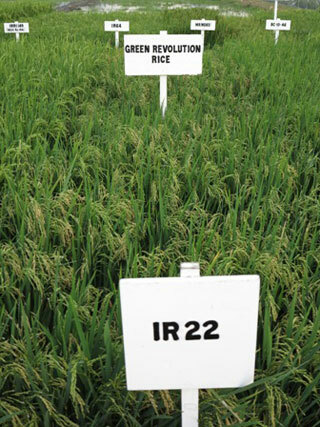 In most agricultural systems, crop residues can be returned to the soil beneficially, but not in the intensive flooded rice systems that predominate in Asia since 2 or 3 crops are grown each year, with insufficient time for residues to break down and their incorporation would hinder soil preparation and the development of the next crop and long term trials show soil carbon levels can be maintained without needing to return straw to the soil. Therefore rice straw is often burnt in the fields, resulting in airborne emissions hazardous to human and ecosystem health. FEEDSTOCK/LOGISTICAL. Since rice straw is a bulky, low-value material that is left in the fields, the costs of handling and transportation to a processing plant are high in terms of labour, energy and money. TECHNOLOGICAL. Even if an efficient straw collection system were devised, it is a very difficult material to use for energy purposes, because of its physical and chemical properties. Little is known about which technologies can practically be used to convert rice straw into modern energy services in the field, but one promising option is anaerobic digestion and the project incorporates AD trials on rice straw. SOCIAL & INSTITUTIONAL. It is important to understand the social context within which the straw is produced and the energy demanded. Focus groups are being held to assess the priorities, preferences and responses of rice farmers, energy users and others in the local communities.